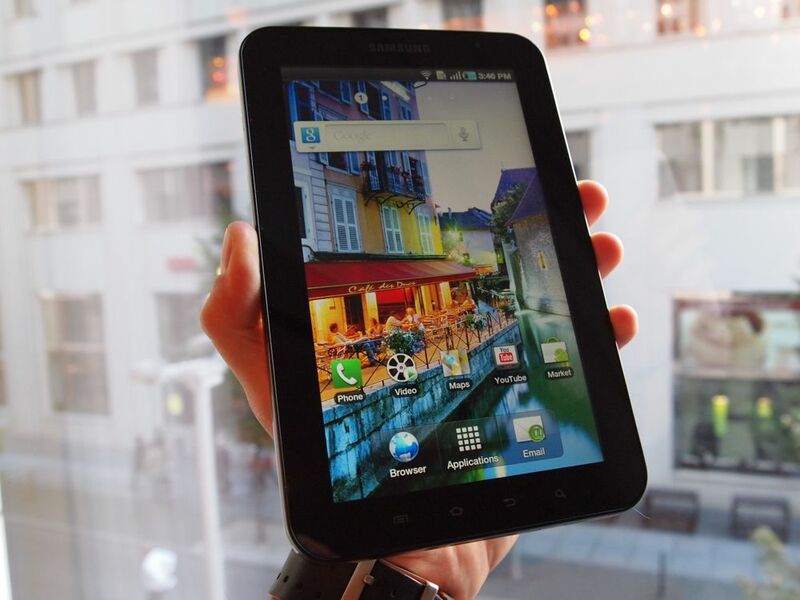 It has been a long time coming but Samsung’s Android 2.2 powered Galaxy Tab has finally arrived. Today, it launched on T-Mobile and over the course of the week, it will be hitting two more carriers in Sprint and Verizon. AT&T’s version has no pricing or release date as of yet but it should be out in time for the holiday season. While Verizon will be releasing it off contract for $599, T-Mobile and Sprint will be selling it for $399 with on two year contracts. In comparison, Apple’s iPad starts at $499 for the Wi-Fi only model. Beyond pricing though how does the Galaxy stack up next to the iPad? Cue Walt Mossberg from the Wall Street Journal and David Pogue of the New York Times who both just released their reviews of the Galaxy Tab. Mossberg exclaims from the outset that the Samsung Galaxy Tab is indeed the iPad’s first real challenger in the tablet market for a number of reasons. And guess what? Pogue’s thoughts are nearly identical. It includes the three most-requested features missing in the iPad: a camera (two in fact); the ability to run Web videos and applications written in Adobe’s Flash software; and multitasking, though, to be fair, the latter feature is coming to the iPad imminently via a software update. Another strong point is that like Apple, Samsung has rewritten some of the standard apps, such as the email and calendar programs, to make them look more like PC programs and less like smartphone apps. But the Galaxy doesn’t feel like a cramped iPad. It feels like an extra-spacious Android phone. And the payoff is huge. The Galaxy is much lighter than the iPad (13 ounces vs. 1.5 pounds), which makes a huge difference when you have to hold it to watch a movie on the plane. And it’s so small you can carry it in a blazer pocket. There are front- and rear-facing cameras, too — take that, iPad! — with a flash, video, exposure controls and special effects. It’s a little weird to hold up this enormous slate in front of you when you want to take a picture. But it’s also awesome; when have you ever used a camera with a 7-inch screen? How about the software? There has been some speculation as to whether or not Android 2.2 would be good on a tablet device, especially after Google themselves stated that the software wasn’t optimal for tablet devices. The Tab uses the latest version of Android, and it generally worked very smoothly, even though Google has warned that Android isn’t yet ready for tablets. I was especially impressed with Samsung’s attractive and usable rewrites of the calendar, email and contacts apps, which, like their iPad cousins, use multiple panels to make them more computer-like, while still remaining touch-friendly. In any case, the Galaxy offers all of Android’s traditional high points, including many features you can’t get on the iPad. For example, you can customize its nine home screens by placing icons or mini info windows anywhere you like (they don’t have to sit in an organized grid). You can dictate text instead of typing it, or search Google or Google Maps by voice. So yes, the dawn of the would-be iPad is upon us. But the Android tablet concept represents more than just a lame effort to grab a slice of tablet hype. As with Android phones, it represents an alternative that’s different enough to justify its existence. You’re buying into a different approach to size, built-in goodies like cameras and GPS, and the more freewheeling Android app store. The tablet wars have officially begun, folks and you can expect a complete TNW review of the Galaxy Tab in the coming days. So there you have it, the first device to ever be compared how a fetus would look after swimming in a Superfund cleanup site.